AFFORDABLE WATERFRONT LIVING IN THE DESIRABLE BAY SHORE YACHT & TENNIS CLUB . 2 BEDROOM / 2 BATH WITH 1050 SQ FT OF LIVING SPACE FRONTED BY A 24 FT BALCONY ACCESSED FROM LIVING ROOM OR MASTER BEDROOM.. WEEKLY RENTALS OK.. FULLY FURNISHED & EQUIPPED VACATION RENTAL PROPERTY /RETREAT OR FULL TIME BEACH CONDO. COME ENJOY OUR LARGE PRIVATE ROOFTOP SUNDECK - PERFECT SPOT TO WATCH THE BOAT PARADES. OWNERS HAVE NICELY DECORATED THE CONDO FOR THEIR OWN USE AND AS A RENTAL.. 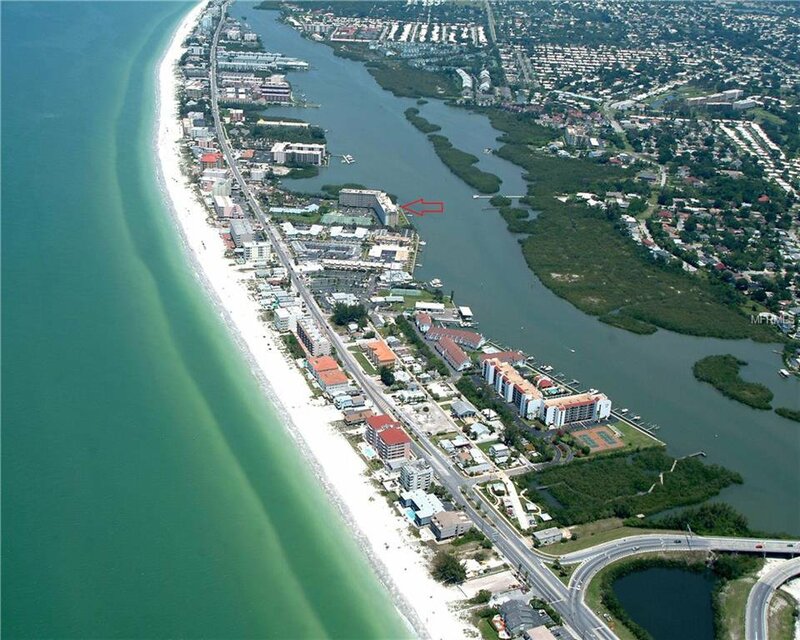 PLENTY OF WATERFRONT DINING & SHOPPING IN WALKING DISTANCE. DON'T FORGET ABOUT OUR MILES OF 'SEMI PRIVATE' SUGAR SAND BEACHES DUE TO A SHORTAGE OF PUBLIC PARKING... WELCOME TO INDIAN SHORES FLORIDA... BLDG AMENITIES...PRIVATE 3000 SQ FT ROOFTOP SUNDECK.. SPARKLING WATERFRONT HEATED POOL W/ SPA ...TIKI HUT ,BBQ AREA, FISHING DOCK AND REC ROOM WITH SHOWER FACILITIES ...4 LIGHTED TENNIS COURTS AND A PUTTING GREEN MAKE THIS AN ACTIVE SOCIAL COMPLEX ....DEEDED BEACH ACCESS RIGHT ACROSS THE STREET...COME & ENJOY THE FLORIDA SUNSHINE...GREAT FAMILY GETAWAY OR INVESTMENT..BUY NOW OR KICK YOURSELF LATER. Listing courtesy of COLDWELL BANKER SUN VISTA. Selling Office: COLDWELL BANKER SUN VISTA.